Welcome to Freedhome, a luxury motorhome & campervan hire service, conveniently located in the North West of England, offering elegant and spacious 3, 4 and 6 berth motorhome & campervan hire. Our modern fleet of vehicles come superbly equipped with full kitchens and feature the latest economical and powerful diesel engines. We have 11 different models to choose from, including pet friendly motorhomes and camper vans, so no matter if you are a couple, a family, or a group of friends going on holiday together, we have the right vehicle for you. Our business values have been built on quality and service, and that’s exactly what you’ll receive with Freedhome. Motorhome & Campervan hire with all the usual extras as standard. If you’re thinking of buying a motorhome or campervan, then why not try before you buy? We have flexible hire days so you can rent whenever you want. Imagine the freedom to go where you want, when you want, with all the comforts you need for a perfect holiday. Whether you’re planning to tour some of the beautiful British countryside, explore Europe or want a base for a trip to a sporting event or festival, a luxury motorhome or campervan from Freedhome is the answer to your needs. Explore, experience and enjoy motorhome & campervan holidays with Freedhome. There are many reasons why more people are taking to the road for their annual holidays. There is simply no better way to see an area better than by driving it. With a driving holiday there is a sense of freedom and adventure, there are no specific itineraries that one must follow, it is more affordable than a holiday at an all-inclusive resort and there are a wider array of activities. All of this is possible with a VW campervan hire. A campervan hire opens up a world of adventure. People can experience national treasures close up and personal, stay as long as they like and go back the following day if they wish. Consider the possibilities of national parks for instance. One can either camp within a national park, stay at a nearby hotel or drive up for the day. Camping is fun yet relegates one to that one spot night after night. It is either that or pack up everything and move on, at which point, one must set up camp all over again. Hotels get expensive and driving up for the day is tiring. A VW campervan hire, on the other hand, allows one to stay as long as possible, leave that day, take in the sights nearby and come back if so desired. 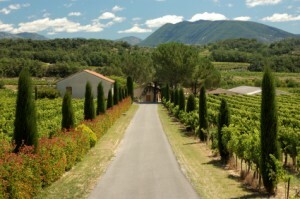 There are no set itineraries either with a campervan hire. Cruises and resorts often have set activities at certain times. If an activity is missed then one has to wait until another time to participate. With a campervan, activities are set at whim. They take place when so desired and can last as long, or as short, as needed. There are also many more activities that can be done with a campervan. And on days when no one feels like doing activities then that is fine as well. 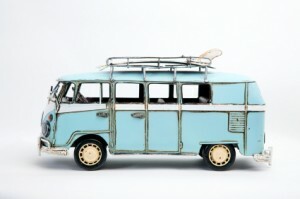 Campervans are usually less expensive than a stay at a resort for the same number of days. Because of this, driving holidays can last longer. Choose the beach, the mountains, national parks, cultural landmarks or historical sights. Enjoy the sights during the drive, read a book in the back or watch a movie with the kids. Campervans make the hours fly by. Stop at a pretty sight, locate unexpected trails and stop for the night when everyone is tired. Driving holidays with a VW campervan hire makes holidays exactly what one wishes them to be. Cheap and affordable motorhomes are available throughout the world for hire today. Motorhomes offer an inexpensive and economical way to take an enjoyable holiday. When compared with any other mode of holiday, motorhome hire is far cheaper relative to the quality of experience they offer. Combining your travel with your accommodation means that you can make savings in all areas of your holiday. Motorhomes can often be hired at discount rates making them exceptionally cheap. If you wish to take an extended trip the inexpensive nature of motorhomes is particularly well suited to keeping the costs down. Or, for a short weekend break, motorhome hire can be a cheap way to get some alone time with a special someone or just get away from it all and appreciate some solitude. Saving money on one break with motorhome hire means that you will have more to spend on other holidays throughout the year. With motorhome hire a low-cost holiday is closer than you think. Motorhome hire is so cheap it will allow you to take more holidays throughout the year – meaning you can make the most of your free time and take as many trips as you like. Savings you make by choosing a motorhome holiday also mean that you can travel much further afield than you would otherwise be able to afford. By choosing a cheap option for your accommodation you will have the freedom to spend more on flights and so see parts of the world you have only dreamed of reaching with a regular holiday. Motorhomes may be inexpensive and cheap but they are also an incredibly comfortable way of traveling. With a motorhome you do not need to compromise your enjoyment in order to take a cheap holiday. 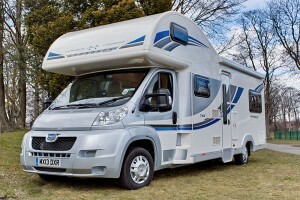 If you hire a motorhome you will find that it is beautifully kitted out and maintained. Hotels are often so disappointing by comparison. 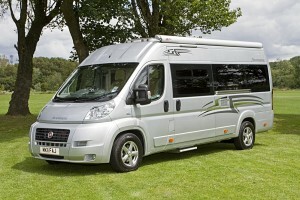 If you are looking for value for money hiring a motorhome is the ideal option. In the summer motorhome hire is a quick and easy way to get away and enjoy the sunshine if you are on a budget. Or in the colder seasons motorhomes can be a wonderful way to take a discount trip when you are feeling a little short of cash. If you enjoy sport or wish to see a music concert then your money will be better spent on your tickets or equipment than on a hotel room. Even compared with budget hotel rooms, motorhomes offer a far cheaper option. For families on a budget motorhome hire is the perfect choice to maximise your holiday experience. If you have a large family then summer holidays together can be expensive. However, motorhome hire can solve this yearly problem, saving you money on accommodation and giving you and your children a holiday to remember. Cheap motorhome hire is available to everyone and suited to every type of holiday. When compared to every other mode of holiday motorhome hire is a bargain! When you think of modern motorhome hire one of the first words that occurs is luxury. Motorhome hire offers a comfortable, pleasant way to enjoy your holiday. There is a sense of well-being that only comes with a motorhome holiday and a sense of luxury that only comes with a hired motorhome. A hired motorhome is cleaned and maintained to a very high standard, meaning that all there is for you to do is get in and drive away. The interior of a motorhome offers a luxurious alternative to regular camping while still allowing you all the freedom and convenience that flexible accommodation gives you. Motorhome hire gives you the luxury to choose when and where your holiday takes you as well as the luxury to decide how long to get away for. Motorhomes can be hired in a variety of locations, for any amount of time and in any season. Motorhomes are a relaxing option for holiday makers who wish to keep complete control of their own free time. Inside your hired motorhome you will find fixtures and fittings of excellent quality: a luxurious sitting area, a delightful kitchen and a cosy sleeping area. The use of space inside your hired motorhome is excellent and the sense of luxury and light is unbelievable. Hire a motorhome today and you will be astonished by the luxurious level of holiday experience you will discover. Luxury motorhomes sleep between two and six people, making them the ideal vehicle for any size of family holiday. Many of the campsites around the UK and beyond offer luxurious facilities which can be enjoyed by all the family. Take hot, steamy showers every day and enjoy the useful kitchen and cleaning facilities while still experiencing the outdoors in your hired motorhome. Families with young children can often make use of excellent play grounds and childcare facilities. Motorhomes bring luxury to all the family. With motorhome hire, a budget family break can become a luxurious treat. Fun, comfortable and entertaining, there is never a dull moment on a motorhome holiday. The freedom that motorhomes give you to travel and move on as you choose means that the setting of your holiday will always be special. And with motorhome hire, wherever you choose to go, a luxury location comes as standard. Park your motorhome at the top of a mountain or right next to the beach for a far better view than any hotel can offer. A suite at the most luxurious five star hotel cannot beat the feeling of relaxation that comes with a motorhome holiday, because motorhome hire brings you closer to the natural world that you wish to enjoy. Relax in beautiful natural surroundings from the luxury of your warm and inviting motorhome. Sleep in a soft and comfortable bed without breaking your budget. And many luxury motorhomes bring you great outdoor living areas too, coming with a pull-out awning so that you can barbeque and chill out in a large and shady space. Check out the many luxury motorhome options available to you today. Motorhome hire brings with it an independence which is not offered by any other kind of travel. Pack up your motorhome and you able to drive through beautiful scenery when and where you like, making motorhome hire the ideal holiday for those who enjoy their independence. Hiring a motorhome means you have the flexibility to enjoy your holiday in a variety of ways. Motorhome hire will give you a freedom which cannot be achieved by standard hotel-based travel and a level of comfort vastly superior to that offered by camping. While a tent requires you to put it up and take it down again at every site you visit, the convenience of a motorhome allows you to move your holiday on quickly and without hassle when you choose. The comparative expense and trouble of checking in and out of hotels is removed by taking the motorhome hire option. Motorhome hire gives you a sense of freedom which can only increase the enjoyment of your holiday. Motorhomes give you easy access to some of the most beautiful sites in the world and an opportunity to view them at your own pace. Whether you seek the romantic isolation that only a motorhome holiday with a loved one can offer, or the friendly environment of a motorhome holiday with friends, hiring a motorhome offers the opportunity to plan your own holiday around you. With motorhomes you have complete control of where you travel and when you go. The world is yours to see and experience. Motorhomes can be used to enjoy the countryside or can just as effectively be employed in urban areas. In towns and cities, villages and wildernesses motorhome hire give you a sense of wellbeing and relaxation which is convenient as well as fun for all. Motorhomes are not only convenient but also incredibly comfortable. A hired motorhome is maintained to a very high standard and inside space is utilised in a clever and efficient manner. There could be nothing more indulgent than the feeling of waking up in a soft cosy bed with nature everywhere around you. Your hired motorhome could be your access to an abundant natural world. Whether you are interested in extreme spots or quiet contemplation of natural beauty, a motorhome can help you to get close to where you want to be. A beach holiday can be made all the more special by parking your motorhome right next to the seashore, as close to the sand as possible. In the same way a motorhome can bring a climbing holiday as close to the mountain as possible, and if you wish to be close to nature you can park your motorhome directly within a woodland or moorland. 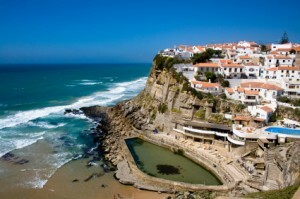 The coastline of hundreds of beautiful countries is within easy reach with a motorhome. The ease and flexibility of motorhome rental means that you can collect your motorhome from almost any area of the world you choose. Choose motorhome hire to open up a whole new world of opportunities. Motorhomes are the holiday method of the future. They are a cheap and convenient way of accessing the areas of the world you have always dreamed of visiting. In a motorhome the landscape opens up before you. Motorhomes are a secure and peaceful way to see the sites. There is no better feeling than driving along an open road with no work to go to and your accommodation traveling with you. In every country there are hundreds of different campsites where motorhomes can be parked and used. These cater to every kind of holidaymaker and mean that motorhomes are one of the most flexible ways to appreciate the outdoors. Holidaymakers who choose to take a motorhome holiday will benefit from reduced expenditure when compared with hotel based holidays. Motorhomes can save you money and leave you more to spend on the rest of your holiday. Motorhomes can also save you time compared to conventional holidays. They combine travel and accommodation, meaning no time is spent finding and settling in to new accommodation every time you move to a new spot. Motorhomes allow you to spend time doing the things you really want to do on holiday: appreciating the scenery and having fun with those you love. Take your motorhome from the mountains of Scotland to the rolling hills of the Lake District and the beautiful cliffs of the southern coast. Motorhomes can be driven from county to county and are ideal for an extended trip as they give you the ability to move at your own pace. Motorhomes give you a chance to view the world in a completely different way. Whether you wish to see the open highways of America or the winding roads that trace the shoreline of southern Spain, a motorhome will allow you to do this in your own way. With a motorhome you are not dependant on trains or buses, planes or taxis: motorhome holidays are not fitted around the itinerary of anyone but you. If you want to truly appreciate the vastness of the Australian outback or see the sun rise above the vineyards of France then a motorhome is the ideal way to achieve this. Smart and easy to use, a motorhome is just like your regular car, plus a hotel. Visit the isolated churches that litter the Tuscan countryside in comfort and style with a motorhome holiday. There is no better way to engage with the environment around you than to travel by motorhome. Driving through the landscape you are free to stop and look around whenever you want. No one ever forgets the amazing time they had on their first motorhome holiday whether it was with friends or family. Motorhomes create memories that stay with you forever. Motorhomes are great for both short and long trips. Enjoy your gap year or retirement with a long tour in a motorhome around the country of your choosing or take a short break and spend some quality time with those you love. Motorhomes are the best choice for any type of holiday and any type of holiday maker. Unlock Nature with motorhomes for hire throughout the world. Hiring a motorhome is an ideal way to see the sites and experience the outdoors. Take in stunning views and countryside all around the world from the luxury of your motorhome, while enjoying the adaptability offered by the rental option. Hiring a motorhome is an easy and cheap alternative for holiday goers who value their freedom. Motorhomes are for hire throughout the world: anywhere you can think of going can become a reality through motorhome hire. Choosing to hire a motorhome gives you flexibility to discover your chosen region at your own pace. With motorhomes for hire there is no need to limit yourself in choosing what you want to see and do – the world is your oyster. 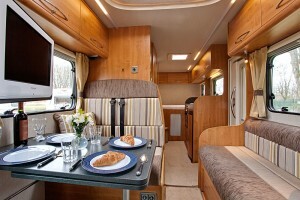 Motorhomes for hire offer an unrivalled level of comfort as you are able to explore taking your accommodation with you. It is also one of the most economical ways to travel: you don’t have to think about the hassle and expense of booking and finding your way to hotels every night or the trouble of checking in and checking out. With a hired motorhome, your only obstacle is the open road. Park up in the mountains, or in the middle of a city and wake up wherever you want to. Nothing can compare to the feeling of relaxation offed by hiring a motorhome. The flexibility of hiring your own motorhome makes motorhome hire an ideal option for families who want to spend some quality time together. A motorhome holiday is one that children will never forget, a wonderful combination of convenience and adventure. Or, if you’re feeling in need of pure relaxation, chill out with nature on a motorhome holiday with friends. With Motorhome hire there’s no need to follow a typical tourist itinerary. In a motorhome the natural beauty you came to see will be all around you – something no hotel can offer. Motorhomes offer a convenient way to enjoy a variety of outdoors activities such as surfing, sailing or scuba diving. They allow those who hire them to park as close to the action as they desire and when you get back to your motorhome, you can enjoy the comfort of your own bed in spectacular surroundings. Motorhome hire allow you to get away from the tourist trail and reach some unique and unspoilt spots. One of the many joys of hiring a motorhome is being able to find untouched beaches where you can spend a day soaking up the sun or relaxing with a picnic. With a motorhome holiday you get all the luxury of a hotel but take the great outdoors with you wherever you go. With motorhomes for hire there’s none of the hassle and expense of having to pay for and find your way to hotels every night, no checking in and checking out. Motorhome hire is a genuinely relaxing and flexible option which must surely be the number one choice for holidaymakers whether they are seeking tranquillity or adventure, relaxation or excitement. In recent months camping and caravan holidays have enjoyed something of a renaissance in the world of tourism. As domestic holidays have continued to prove a popular choice with those looking for a slightly more budget friendly way to take a vacation, camping and caravan parks have enjoyed their fair share of the market. Great Britain is blessed with a myriad of tempting camping and caravan holiday destinations and choosing the right one for you is one of the most important decisions you will make whilst planning your trip. Whilst caravan and camper van holidays are usually associated with outdoor pursuits, there are also plenty of caravan sites and resorts that will allow you to make an easy commute into some of Britain’s most popular and culture fuelled cities. Spend some time thinking about whether it’s the Cornwall coastline or the Cotswolds countryside, the sights and sounds of the city or the simpler pleasures of a rural retreat, that most tickle your fancy. The next box to be ticked on your pre-holiday to do list is finding the right camping or caravan site on which to park your tent, caravan or camper van. Different sites will have different things to offer. Some people prefer to choose small independent sites, believing them to have more character than the larger more commercial enterprises. Others take the opposite view and feel that opting to stay at a site belonging to a nationwide group such as Park Resorts offers them greater security and assures them of a certain standard and quality. When planning any kind of outdoor activities it is always useful to have a back up plan, lest the British summer weather get the better of your fresh air pursuits. A little online research should help you to come up with a range of indoor alternatives. Look out for local art exhibitions, craft fairs, concerts, theatre productions – even in the most rural of destinations you might be pleasantly surprised by your findings. And planning for all eventualities will help you to get the most out of your break away, whatever the weather has in mind.